The answer we all hoped to hear came flooding through in the aftermath of Florence. Not only can one person make a difference, but one action can create ripples that change everything. 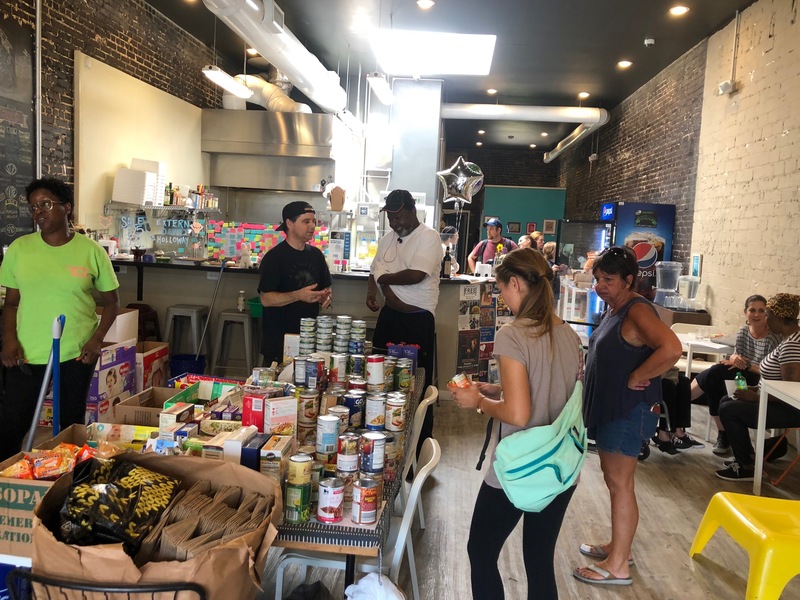 Yes, one person donated a bag of clothes, one neighbor removed a tree from another neighbor's roof before they returned home, and one restaurant owner worked tirelessly to feed a neighborhood without electricity or running water. But, when each of these people were witnessed by others, posted photos to Facebook and Instagram, told friends, spoke about it with family members, or mentioned it in passing on the street, that single act of kindness turned into 100 acts, 100 bags of clothes, 100 neighbors helping 100 neighbors, and dozens of restaurants dedicating their service to those in need. They were multipliers, who created multipliers. And, that's how good works. Sometimes it's quiet, sometimes it's promoted, and sometimes no one ever even knows it happened. But, it ripples and ripples until it heals communities either way. The energy behind the action itself can't help but generate more of the same. Perhaps our favorite post-Florence example was The Foxes Boxes Northside Relief Station on North Fourth in the Brooklyn Arts District. The restaurant drew volunteers in droves. And, a group of a few grew to a group of over a hundred who volunteered their time there, pulling carts of hot food across town, and stocking the relief station. And, those wagon trains created memories and a sense of community none of us will soon forget. A couple of Downtown Businesses came together to create #Overflo, which grew into over a dozen businesses, and helped to create an overflow of other business creating cooperatives to achieve a similar goal. Together businesses raised over $1 million for organizations offering support to the relief effort. As devastating as everything was to all of us at the time, it was an enlightening and heart-warming moment that changed the way many of us look at things. Multipliers are doing this everywhere, all the time, but we're often not aware of it. A prime example came shortly after the storm, when CSP former clients and now good friends Pam LeBouef Gonzalez and Nancy Smith Sandy, along with other neighbors, hosted their annual Painted Ladies Birthday and Key Lime Party & Birthday Fundraiser. Each year, they choose a new organization to raise funds for. After attending an event that we sponsored in August of this year - The Ban the Bags Fill the Packs Foster Pantry Fundraiser - Pam was so inspired by founders, Emily Klinefelter and Stacy Pullen, that she decided to dedicate money raised at The Painted Ladies party to their organization. Not so ironically, this is how Fill the Packs came to be - pure inspiration. Pam was hopeful that they would come away with at least $1000 in donations. 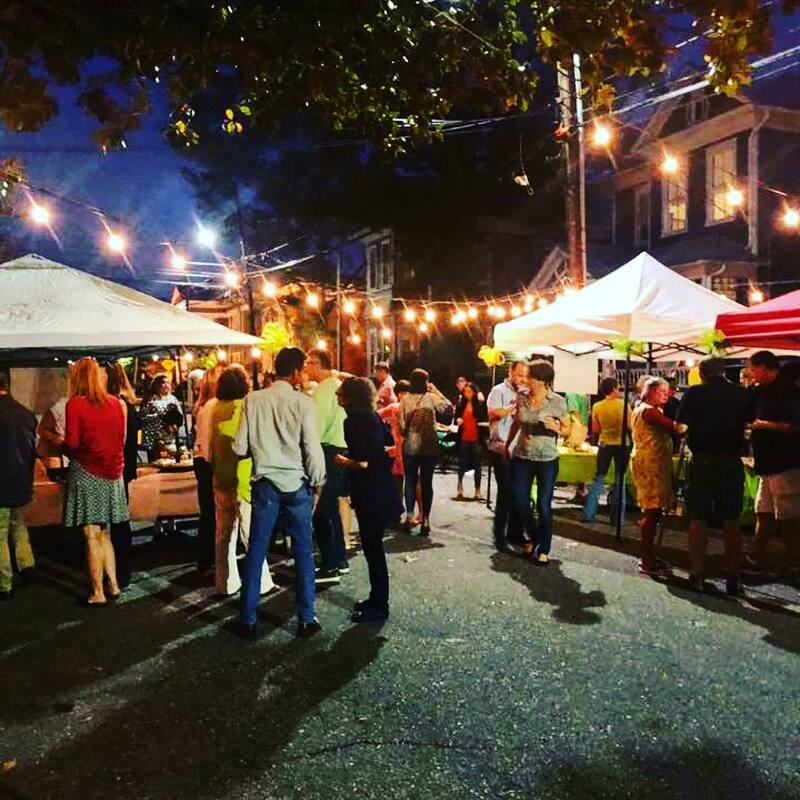 But, the event (turned street party) was not only fabulous, and crowded with amazing people and good food, it also resulted in a check for over $2,700 written to the Foster Pantry. Multipliers. They're everywhere...when you're paying attention. Be a multiplier. We can use all the good we can get.